France has more than its fair share of picturesque villages. Some of them are designated l’un des plus beaux villages de France (one of the most beautiful villages of France). Within a 50 km radius of us I have counted at least 12. But what exactly does this appellation mean and what does it involve? Les Plus Beaux Villages de France first became an association in 1981, set up on the initiative of the mayor of Collonges-la-Rouge in Corrèze (I’ve been there: the stone really is red). His vision was to safeguard and promote villages like his own. In doing so, he hoped to stem the tide of rural depopulation and stimulate interest in their historic heritage. Now, 156 villages across France have the designation. As far as possible, the association aims to avoid villages becoming either lifeless museums or historical theme parks. In addition, the objective is to promote tourism and economic development. A population of less than 2,000 inhabitants. At least two protected sites or historic monuments in the area. Majority support for the application from the conseil municipal. They then get inspected against 27 criteria and approved (or not) by a committee. Sometimes the village has to make certain changes to achieve definitive approval. Apparently, only around one in five applications is successful. Once approved, the village pays an annual subscription of 3 euros per inhabitant (I wonder how they determine who is an inhabitant). In return, it has the right to use the association’s logo and benefits from its promotional activity etc. Within these villages, the outward signs of modern life, such as satellite dishes and TV aerials, are banned as far as possible while restoration restrictions are tight. Here are a few not far from us. Najac in Aveyron, about which I have written on these pages, is probably our closest PBV. It’s not unlike Shaftesbury in Dorset, being built on a steep hill. Dominated by its ruined castle, a landmark for miles around, it’s home to some characters that are as picturesque as the buildings. The best long-distance view is probably from the village of Mazérolles on the opposite hillside. The castle emerging from the mist on an autumn day is a breathtaking sight. 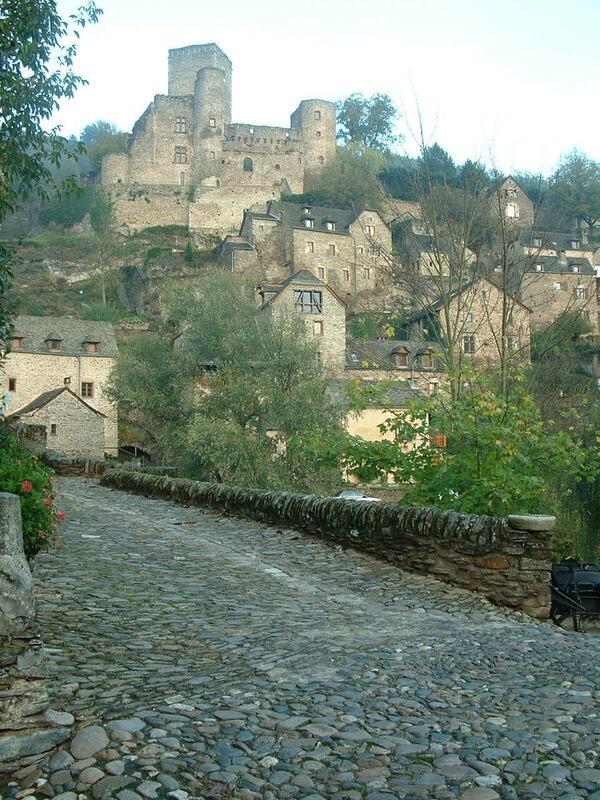 Then there’s Belcastel, also in Aveyron and dominated by its château. In our own département, Bruniquel straggles up a steep hillside towards its own châteaux (not one but two), which commanded the major routes and the River Aveyron below. It was used as the set for the film Le Vieux Fusil. In Tarn, the fortified town of Puycelci sits atop a hill, its present-day tranquillity belying its turbulent past. Founded in the 10th century, it was besieged on several occasions in the Middle Ages, notably by Simon de Montfort during the Albigensian Crusades and by the English during the Hundred Years’ War. Despite this, it was never taken by force. While you can’t help but applaud this initiative, you sometimes wonder if some of these villages are a little too sanitised and chocolate-boxy; set in aspic. In summer, they are tourist honeypots – which, of course, benefits the local economy. Out of season, you are on a different planet. The summer residences are shuttered up, most of the restaurants are closed and only the permanent inhabitants are around. The tourists bring vitality and money but off-season is when I like these places best. This entry was posted in Aveyron, History, Places and tagged Belcastel, Bruniquel, Les Plus Beaux Villages de France, Najac, patrimoine, Puycelci, SW France. Bookmark the permalink. I wonder what it would be like to live in Najac for a year, to paint. I expect you would find plenty of subjects, whether human, architectural or natural. The countryside is beautiful and, in places, dramatic. It’s worth bearing in mind, though, that Najac, like many such French villages, is busy in summer but almost deserted in winter. And it can be very cold. However, if you use it as a base there are other, larger places in the region to visit that are livelier out of season. I hope this helps. Thanks for this list, we will make a point of visiting the villages above in June. There are a number of l’un des plus beaux villages de France in our area of the Dordogne (the general area around Sarlat). La Roque Gageac is only about 10 mins from us. There are a lot of PBVs around us – we are very lucky. We still haven’t visited them all, though! On holiday in France years ago we visited La Roque Gageac and Domme. In fact, I think we saw the former from the river when we took a boat trip along the Dordogne. 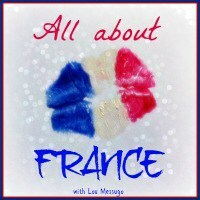 Yes, it is a beautiful area, La Roque, Domme, Baynac and Castelnaud are all within 10-15 minutes of us. Cant wait to get back there in May-June for a month. Domme is a great place for lunch as it has a fantastic view of the valley. Sadly we don’t seem to do beaux villages in Creuse and so we haven’t got a local one. I’ve visited a few of them during holidays. I imagine getting inhabitants to do without their modern signs of living could be tricky at times when a village has been selected. We are lucky to have quite a high concentration of them down here – a lot of hilltop fortified villages; a testament to this region’s turbulent past. I think a lot of these places are only sparsely populated in the winter so there’s not much likelihood of a revolution about their satellite dishes! That is so weird they ban satellite dishes and other traces of modern life! They do kind of ruin the “small town atmosphere” but am I supposed to think the people that live in these villages are Amish? Anyways thanks for talking about this, I had no idea about this! I only knew about UNESCO when it came to preserving national monuments. I think they allow them amenities like running water and electricity. But joking apart, it’s more that they have to be concealed rather than banned altogether to avoid them spoiling the external look of the buildings. Lovely photographs…I haven’t been down that way for years. Quite agree about the off season being the best for visiting, too. I already had Najac on my ‘to see’ list. Thanks for giving me a few more to visit! St, Cirq is beautifu and I agree that fall is the best time to visit. . If you go to the PBV website, they list the villages by area/region so you can plan a tour of them in certain areas. Saint-Cirq is a favourite but is best seen in autumn as you say when the crowds have gone and the leaves are turning. Then I think it’s at its best. Yes, they are beautiful but not with masses of people milling around. Saint Cirq Lapopie is a good example. If you go in season, you will have to park miles away for the privilege of moving round with the crowds. Out of season, particularly late Autumn, is a much nicer time to go. Our immediate area isn’t so picturesque, but we have the mountains and some really pretty little places tucked away. I’d forgotten that Saint-Cirq-Lapopie also has a paying car park – not a very big one so if you can’t get in you’re stumped. I find mid-late autumn the best time to do things around here since the weather is invariably good but places are almost empty. I swam in the river beach there whilst staying near Limogne. There was a lovely pottery shop where you could buy wonderful cups in hundreds of different colours – they did a particularly nice shade of duck egg blue which I have to this day. Wonderful place but I agree, probably far more atmospheric with autumn mists rolling up from the river. I assume you mean Saint-Cirq (rather than Najac), which is known for its pottery and isn’t far from Limogne. That’s the village that is nearly always used to advertise the Plus Beaux Villages or the Lot. You are right, it’s only off-season that you get the atmosphere and the full beauty of these places, but they are breathtakingly beautiful, are they not? I’m interested in the criterion of 2000 inhabitants, didn’t know about that. On the other hand, easy to determine who is an inhabitant, anyone who pays impôts locaux within the bounds of the commune. We have two in the Finistère: Locronan which is too Disneylandish for words as far as I’m concerned, and they make you park outside the village AND pay for parking during a four month tourist season, which really gets on my nerves; and Le Faou, which is really not that beautiful (oops, am I going to get assassinated during the night by one of its 2000 inhabitants?). Nothing compared to the ones in the southern half of France. Yes, I did wonder if the payment of impôts locaux would constitute the definition of ‘inhabitant’. It’s pretty loose, though, since some of these places are barely inhabited at all in winter but their populations are swelled by second-homers in summer. They are beautiful for the most part and we are particularly lucky here to have so many within striking distance. They make a good outing for visitors, although once you’ve seen Najac 15 times the novelty does wear off a bit!They have a similar arrangement at Conques to that at Locronan where, in season, you have to park outside the village and pay.